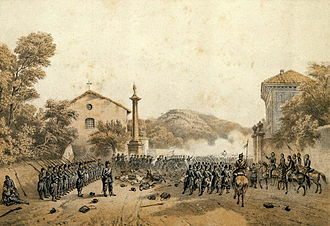 The Battle of Solferino (referred to in Italy as the Battle of Solferino and San Martino) on 24 June 1859 resulted in the victory of the allied French Army under Napoleon III and Sardinian Army under Victor Emmanuel II (together known as the Franco-Sardinian Alliance) against the Austrian Army under Emperor Franz Joseph I. It was the last major battle in world history where all the armies were under the personal command of their monarchs. 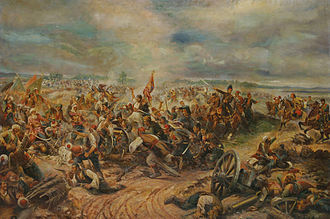 Perhaps 300,000 soldiers fought in the important battle, the largest since the Battle of Leipzig in 1813. There were about 130,000 Austrian troops and a combined total of 140,000 French and allied Piedmontese troops. After the battle, the Austrian Emperor refrained from further direct command of the army. The battle led the Swiss Jean-Henri Dunant to write his book, A Memory of Solferino. Although he did not witness the battle (his statement is contained in an "unpublished page" included in the 1939 English edition published by the American Red Cross), he toured the field following the battle and was greatly moved by what he saw. Horrified by the suffering of wounded soldiers left on the battlefield, Dunant set about a process that led to the Geneva Conventions and the establishment of the International Red Cross. Map of the battle (printed c.1888), in Meyers Lexikon, Vol.15, p.10-11. The Battle of Solferino was a decisive engagement in the Second Italian War of Independence, a crucial step in the Italian Risorgimento. 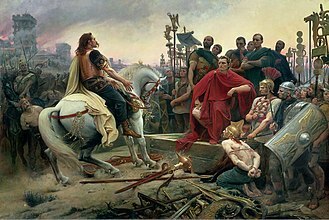 The war's geopolitical context was the nationalist struggle to unify Italy, which had long been divided among France, Austria, Spain and numerous independent Italian states. The battle took place near the villages of Solferino and San Martino, Italy, south of Lake Garda between Milan and Verona. The confrontation was between the Austrians, on one side, and the French and Piedmontese forces, who opposed their advance. In the morning of 23 June, after the arrival of emperor Franz Joseph, the Austrian army changed direction to counterattack along the river Chiese. At the same time, Napoleon III ordered his troops to advance, causing the battle to occur in an unpredicted location. While the Piedmontese fought the Austrian right wing near San Martino, the French battled to the south of them near Solferino against the main Austrian corps. The Austrian forces were personally led by their militarily inexperienced 29-year-old emperor, Franz Joseph, and were divided into two field armies: 1st Army, containing three corps (III, IX and XI), under Franz von Wimpffen and 2nd Army, containing four corps (I, V, VII and VIII) under Franz von Schlick. The French army at Solferino, personally led by Napoleon III, was divided in four Corps plus the Imperial Guard. Many of its men and generals were veterans of the French conquest of Algeria and the Crimean War, but its commander-in-chief had no military experience of note. The Sardinian army had four divisions on the field. Although all three combatants were commanded by their monarchs, each was seconded by professional soldiers. 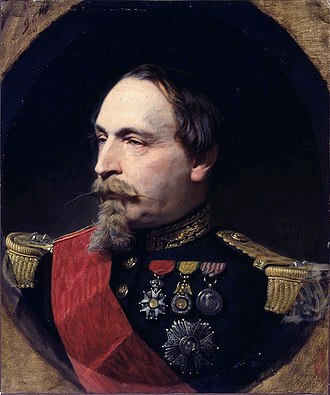 Marshal Jean-Baptiste Philibert Vaillant served as Chief of Staff to Napoleon III, while Victor Emmanuel was accompanied by his Minister of War, Lieutenant General Alfonso Ferrero La Marmora. The Austrian high command was hindered by the rivalry between the Chief of Staff, Heinrich von Heß, and the Emperor's Adjutant General Karl Ludwig von Grünne. According to the allied battle plan formulated on 24 June, the Franco-Sardinian army moved east to deploy along the right river banks of the Mincio. The French were to occupy the villages of Solferino, Cavriana, Guidizzolo and Medole with, respectively, the 1st Corps (Baraguey d'Hilliers), 2nd Corps (Mac-Mahon), 3rd Corps (Canrobert), and 4th Corps (Niel). The four Sardinian divisions were to take Pozzolengo. After marching a few kilometers, the allies came into contact with the Austrian troops, who had entrenched themselves in those villages. In the absence of a fixed battle plan, the fighting which took place was uncoordinated, which is why so many casualties occurred, and it fell into three separate engagements, at Medole (south), Solferino (centre) and San Martino (north). 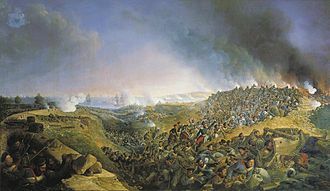 The battle started at Medole around 4 am. Marching towards Guidizzolo, the 4th Corps encountered an Austrian infantry regiment of the Austrian 1st Army. General Niel immediately decided to engage the enemy and deployed his forces east of Medole. This move prevented the three corps (III, IX and XI) of the Austrian 1st Army from aiding their comrades of the 2nd Army near Solferino, where the main French attacks took place. The French forces were numerically inferior to the Austrians'. The 4th Corps contained three infantry divisions under de Luzy, Vinoy and Failly and a cavalry brigade. Niel, holding a thin line of 5 kilometres (3.1 mi) in length, was able to stop the Austrian assaults on his position by ably warding off attacks and counterattacking at opportune moments. After 15 hours of combat the Austrians retreated, both sides having lost in total nearly 15,000 men. Around 4:30 am the advance guard of the 1st Corps (three infantry divisions under Forey, de Ladmirault, and Bazaine, and a cavalry division under Desvaux) came into contact with the Austrian V Corps under Stadion near Castiglione delle Stiviere. Around 5 am 2nd Corps under Mac-Mahon (two infantry divisions and a cavalry brigade under La Motterouge, Decaen and Gaudin) encountered Hungarian units posted near Ca’Morino (Medole). The Austrian forces were three corps strong (I, V and VII) and positioned on the towns of Solferino, Cavriana and Volta Mantovana. The Austrians were able to hold these positions all day against repeated French attacks. Near 3 pm the French reserves, formed by Canrobert's 3rd Corps and the Imperial Guard under Regnaud, attacked Cavriana, which was defended by the Austrian I Corps under Clam-Gallas, finally occupying it at 6 pm and thereby breaking through the Austrian center. This breakthrough forced a general retreat of both Austrian armies. On the northern side of the battlefield the Sardinians, 4 divisions strong, encountered the Austrians around 7 am. 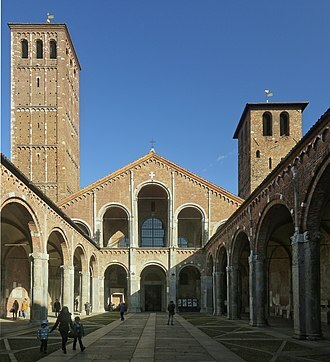 A long battle erupted over control of Pozzolengo, San Martino and Madonna della Scoperta. The Austrian VIII Corps under Benedek had 39,000 men and 80 guns and was repeatedly attacked by a Sardinian force of 22,000 men with 48 guns. The Austrians were able to ward off three Sardinian attacks, inflicting heavy losses upon the attackers; at the end of day Benedek was ordered to retreat with the rest of the Austrian army, but ignored the order and kept resisting. At 20:00 a fourth Sardinian assault finally captured the contested hills, and Benedek withdrew. The main Sardinian contribution in the overall battle consisted in keeping Benedek's corps deeply engaged throughout the day and preventing the sending of two brigades as reinforcement to the force attacked by the French in Solferino. The battle was a particularly gruelling one, lasting over nine hours and resulting in over 2,386 Austrian troops killed with 10,807 wounded and 8,638 missing or captured. The Allied armies also suffered a total of 2,492 killed, 12,512 wounded and 2,922 captured or missing. Reports of wounded and dying soldiers being shot or bayonetted on both sides added to the horror. In the end, the Austrian forces were forced to yield their positions, and the Allied French-Piedmontese armies won a tactical, but costly, victory. The Austrians retreated to the four fortresses of the Quadrilateral, and the campaign essentially ended. 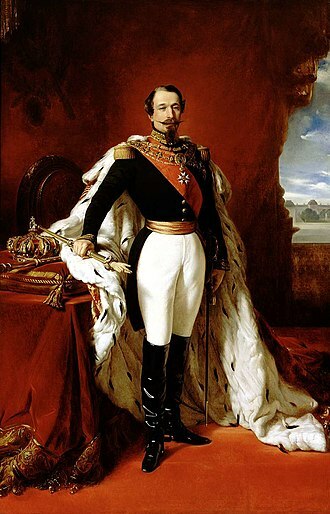 Napoleon III was moved by the losses, as he had argued back in 1852 "the French Empire is peace", and for reasons including the Prussian threat and domestic protests by the Roman Catholics, he decided to put an end to the war with the Armistice of Villafranca on 11 July 1859. The Piedmontese won Lombardy but not Venetia. Camillo Benso, conte di Cavour, resigned. 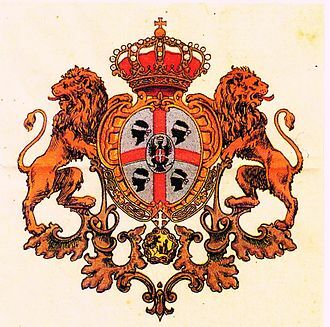 The Kingdom of Italy was proclaimed in 1861. This battle would have a long-term effect on the future conduct of military actions. Jean-Henri Dunant, who witnessed the aftermath of the battle in person, was motivated by the horrific suffering of wounded soldiers left on the battlefield to begin a campaign that would eventually result in the Geneva Conventions and the establishment of the International Red Cross. The Movement organized the 150th anniversary commemoration of the battle between the 23 and 27 June 2009. 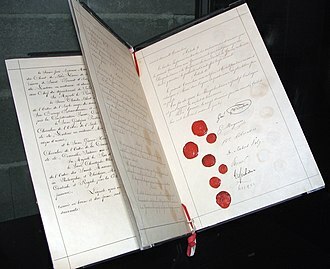 The Presidency of the European Union adopted a declaration on the occasion stating that "This battle was also the grounds on which the international community of States has developed and adopted instruments of International Humanitarian Law, the international law rules relevant in times of armed conflict, in particular the four Geneva Conventions of 1949, the 60th anniversary of which will be celebrated this year." The area contains a number of memorials to the events surrounding the battles. There is a circular tower, Tower of San Martino della Battaglia, dominating the area, a memorial to Victor Emmanuel II. It is 70 m high and was built in 1893. In the town there is a museum, with uniforms and weapons of the time, and an ossuary chapel. At Solferino there is also a museum, displaying arms and mementos of the time, and an ossuary, containing the bones of thousands of victims. Nearby Castiglione delle Stiviere, where many of the wounded were taken after the battle, is the site of the museum of the International Red Cross, focusing on the events that led to the formation of that organization. Elizabeth Barrett Browning's poem "The Forced Recruit at Solferino" commemorates this battle (Last Poems 1862). Joseph Roth's 1932 novel Radetzky March opens at the Battle of Solferino. There, the father of the novel's Trotta dynasty is immortalized as the Hero of Solferino. 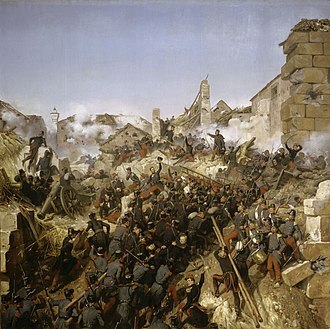 The Battle of Solferino was depicted also in a 2006 television drama Henry Dunant: Du rouge sur la croix (English title: "Henry Dunant: Red on the Cross"), which tells the story of the signing of the Geneva Conventions and the founding of the Red Cross. ^ a b Brooks 2009, p. 61. ^ Fink, Humbert (1994). Auf den Spuren des Doppeladlers. Berlin. ^ Evans, Richard J., The Pursuit of Power: Europe 1815-1914, Penguin: London, 2017, p. 242. ^ Piero Pieri, Storia militare del Risorgimento; guerre e insurrezioni, Turin, Einaudi, 1962, p. 617. ^ Valotti, Gianluigi (December 2014). Solferino 1859, I feriti francesi ricoverati a Manerbio. Sardini Editore. ISBN 9788875062200. ^ Valotti, Gianluigi (2015). Solferino 1859. Les blessés français soignés à Manerbio. Sardini Editore. ISBN 9788875062231. Brooks, R. (2009). Solferino 1859: The Battle for Italy's freedom. Osprey Publishing. ISBN 978-1-84603-385-8. Der Feldzug des Kaisers Napoleon 3. in Italien im Jahre 1859 (1865). Wikimedia Commons has media related to Battle of Solferino. Franz Joseph von Schlik of Bassano and Weisskirchen was an Count and general in the Austrian Empire. He was one of the most successful Austrian generals during the Hungarian Revolution of 1848, in 1808, he enrolled in the imperial army and fought in the Napoleonic Wars. He lost sight in his eye in the Battle of Leipzig on 19 October 1813. 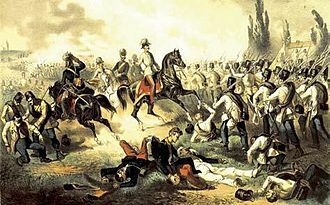 In 1848, as a Lieutenant general, he became regent of Kraków in Poland, on 11 December Schlik defeated Sándor Pulszky in the Battle of Budamér and occupied Eperjes and Kassa. Schlik waited two weeks before resuming the attack, by this time, György Klapka had reorganized the Upper Tisza legion and because of this, the Hungarians won the Battle of Tarcal on January 22 and the Battle of Bodrogkeresztúr the next day. On January 31st in the Battle of Tokaj Schlik and Windish-Grätz attacked Klapkas positions, richard Guyons victory in the Battle of Branyiszkó created the possibility that Schlik would be surrounded, but Henryk Dembiński would not change his plans. Schliks forces escaped and joined Windish-Grätz, the combined force won the Battle of Kápolna on 26 –27 February. Schlik took part in the Spring Campaign as the leader of the 3rd legion and he lost the battle against András Gáspár, the leader of the 7th Hungarian legion in the Battle of Hatvan on 2 April. He took part in the Battle of Isaszeg on 6 April and on 26 April in the First Battle of Komárom and retreated in the direction of the River Rába. In the Summer Campaign he took part as a leader of the 1st legion and so was in command at the Battle of Győr on 28 June, julius Jacob von Haynau moved the Austrian legions in three parallel lines against the Hungarians at Szeged. 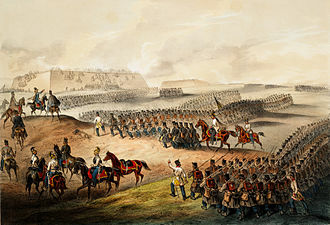 Schlik was the leader of the line that was advancing towards Makó, in September 1849 Schlik was promoted to cavalry general and he received the Order of the Iron Crown and the Military Order of Maria Theresa for his victories. From 1854 he was Galicia and Bukovina commanding general, on 24 June 1859 he was made the commander of the 2nd Austrian army, which he led in the Battle of Solferino. The Geneva Conventions comprise four treaties, and three additional protocols, that establish the standards of international law for the humanitarian treatment in war. The treaties of 1949 were ratified, in whole or with reservations, the Swiss businessman Henry Dunant went to visit wounded soldiers after the Battle of Solferino in 1859. He was shocked by the lack of facilities, personnel, as a result, he published his book, A Memory of Solferino, in 1862, on the horrors of war. The latter led to the 1864 Geneva Convention, the first codified international treaty that covered the sick, for both of these accomplishments, Henry Dunant became corecipient of the first Nobel Peace Prize in 1901. The ten articles of this first treaty were initially adopted on 22 August 1864 by twelve nations, on 20 October 1868 the first, attempt to expand the 1864 treaty was undertaken. With the Additional Articles relating to the Condition of the Wounded in War an attempt was undertaken to clarify some rules of the 1864 convention, the Articles were signed but never ratified by all parties. Only the Netherlands and the United States ratified the Articles, the Netherlands withdrew their ratification. The protection of the victims of warfare would be realized by the third Hague Convention of 1899. In 1906 thirty-five states attended a conference convened by the Swiss government and it remained into force until 1970 when Costa Rica acceded to the 1949 Geneva Conventions. 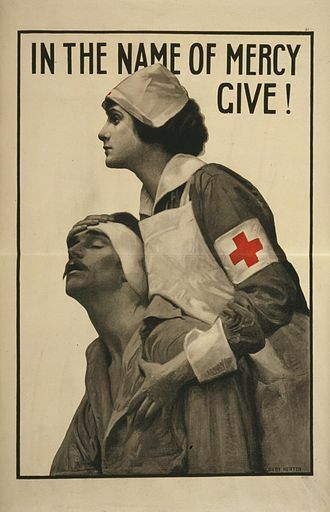 The 1929 conference yielded two conventions that were signed on July 27th 1929, the Convention for the Amelioration of the Condition of the Wounded and Sick in Armies in the Field, was the third version to replace the original convention of 1864. The other was adopted after experiences in World War I had shown the deficiencies in the protection of prisoners of war under the Hague Conventions of 1899 and 1907. The Convention relative to the Treatment of Prisoners of War was not to replace these earlier conventions signed at The Hague, the Second Geneva Convention for the Amelioration of the Condition of Wounded and Shipwrecked Members of Armed Forces at Sea replaced the Hague Convention of 1907. The Piedmontese, following their defeat by Austria in the First Italian War of Independence, recognised their need for allies. In the peace conference at Paris following the Crimean War, Cavour attempted to bring attention to efforts for Italian unification, private talks between Napoleon III and Cavour after the conference identified Napoleon as the most likely, albeit still uncommitted, candidate for aiding Italy. On 14 January 1858, Felice Orsini, an Italian, led an attempt on Napoleon IIIs life, being unable to get the French help unless the Austrians attacked first, provoked Vienna with a series of military manoeuvers close to the border. The French army for the Italian campaign had 170,000 soldiers,2,000 horsemen and 312 guns, the Imperial Guard was commanded by Auguste Regnaud de Saint-Jean dAngély. The Sardinian army had about 70,000 soldiers,4,000 horsemen and 90 guns and it was divided into five divisions, led by Castelbrugo, Manfredo Fanti, Giovanni Durando, Enrico Cialdini, and Domenico Cucchiari. 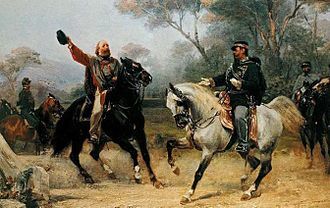 Two volunteer formations, the Cacciatori delle Alpi and the Cacciatori degli Appennini, were present, the commander in chief was Victor Emmanuel II of Savoy, supported by Alfonso Ferrero la Marmora. The Austrian army fielded more men, it was composed of 220,000 soldiers,824 guns and 22,000 horsemen and was led by Field Marshal Ferenc Graf Gyulay. At the declaration of war, there were no French troops in Italy, the Austrian forces counted on a swift victory over the weaker Sardinian army before French forces could arrive in Piedmont. Unfortunately for him, very heavy rains began to fall as soon as he did this, allowing the Piedmontese to flood the fields in front of his advance. 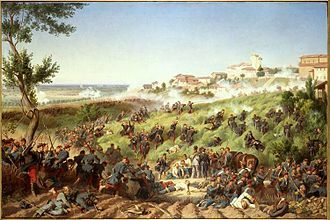 On 14 May Napoleon III arrived in Alessandria, taking the command of the operations, the initial clash of the war was at Montebello on 20 May, a battle between an Austrian Corps under Stadion and a single division of the French I Corps under Forey. The Austrian contingent was three times as large, but the French were victorious, making Gyulai still more cautious, in early June, Gyulai had advanced to the rail center of Magenta, leaving his army spread out. Desenzano del Garda is a town and comune in the province of Brescia, in Lombardy, Italy, on the southwestern shore of Lake Garda. It borders the communes of Castiglione delle Stiviere, Padenghe sul Garda, during the Third Italian War of Independence, Desenzano was bombarded by the Austrian navy. 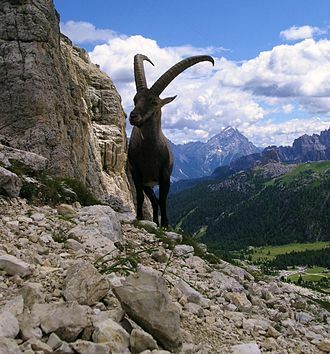 It attracts myriad tourists from the area owing to its beautiful view of the Alps from the southern shore of Lake Garda. Desenzano is the heart of nightlife on the shore of Lake Garda, with several discos. In the summer, its squares, Piazza Malvezzi and Piazza Matteotti, are crowded all night with young and partying people. At the heart of the city is a series of interconnected piazze that house numerous open-air cafés, various shops, the city has a main port near the Piazza Giacomo Matteotti, from where several ferries operate. On the south-western outskirts of the city is a railway station, the Desenzano del Garda-Sirmione railway station. Desenzano has its own exit from the A4 motorway, the road between Milan and Venice. Adolphe Yvon was a French painter known for his paintings of the Napoleonic Wars. Yvon studied under Paul Delaroche, rose to fame during the Second Empire, shortly after the end of the Crimean War in September 1855, Yvon was commissioned by the French government to paint a large picture of the capture of the Malakoff at Sevastopol. He sailed for the Crimea on February 19,1856 where he spent six weeks compiling a portfolio of sketches, as well as visiting the battlefield of Inkerman. In 1857, the finished painting La Prise de la tour de Malakoff 8 septembre 1855 was shown at the Paris Salon, La Prise was a massive piece measuring 6 metres by 9 metres and represented the moment when the fortification was captured around midday. 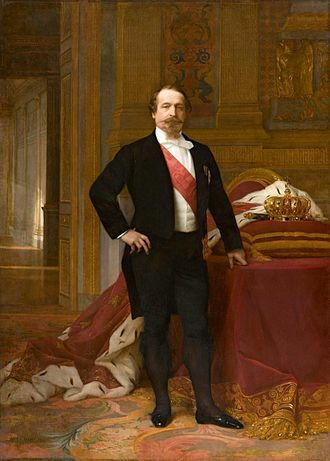 In the succeeding years, Emperor Napoleon III began to admire his battle scenes, Yvon became an officer of the Légion dhonneur in 1867, and painted Napoleon IIIs portrait the following year. 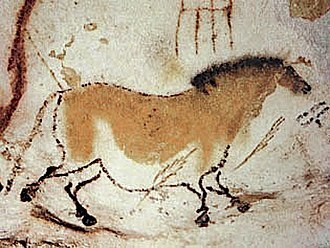 Yvon was known as the teacher of drawing at the École des Beaux-Arts. A few Americans received instruction from him, including Christian Schussele, Alfred Wordsworth Thompson, William Sartain, the latter took Yvons afternoon life-drawing class starting in the fall of 1874. "Marshall Ney at Retreat in Russia"
Drawing of the five founders of the International Committee. Volumes of the 4th Edition (1885). Cover of the original edition of A Memory of Solferino (1862). First page of the manuscript. 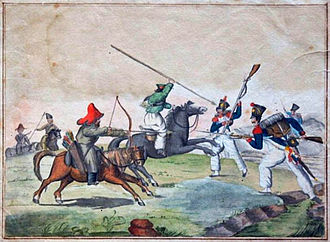 The French II Corps at the Battle of Turbigo. Mountain drainage basin of the Chiese river in Trentino area.